One year ago today I was in Tasmania, most likely on the famous Overland Track. 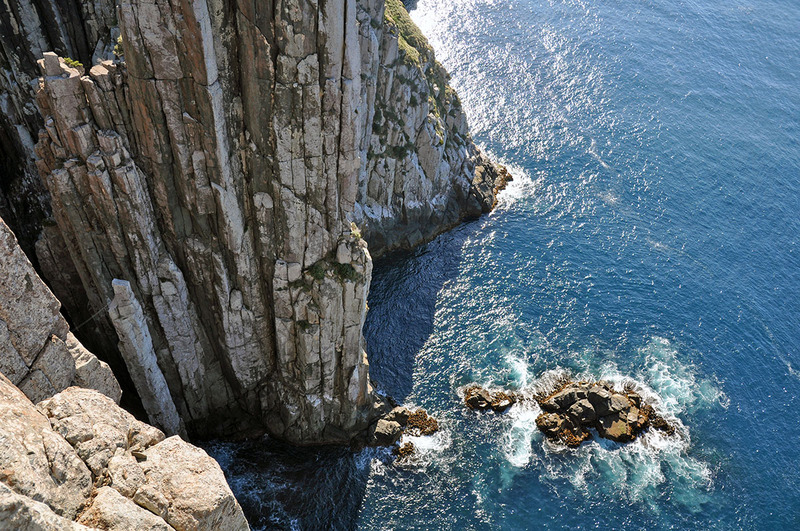 This hike is also called one of the most amazing multi-day treks in the world, but this is where I actually got inspired for an even better hiking track in Tasmania: the Cape Hauy Track. 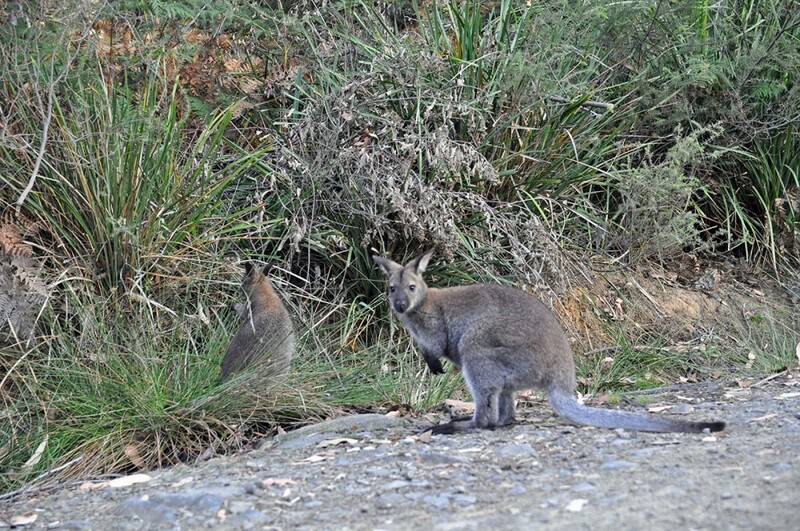 While hiking The Overland Track, Martijn and I got talking to quite a few Ozzies along the way. You all walk the same pace more or less and usually run into each other various times along the track. We met a couple from the Melbourne area who had also been to Tasmania a few of years earlier and recommended us ‘a great great coastal hike that we definitely had to do while out’. 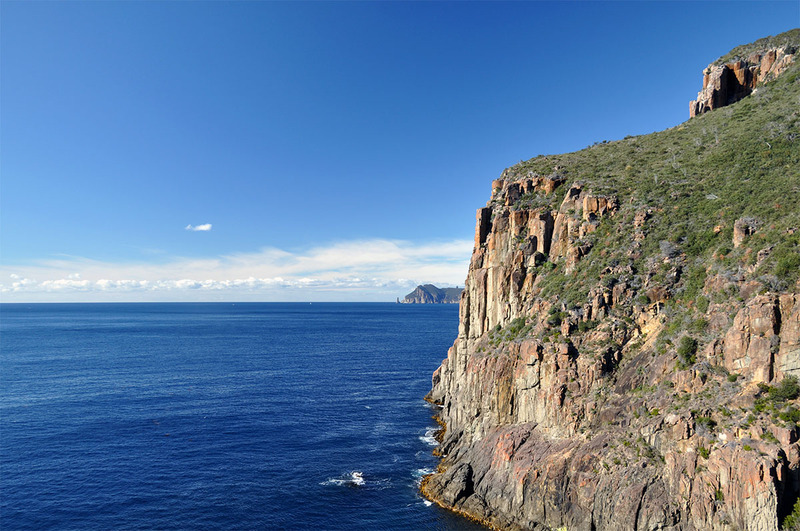 Scrolling through my app with best hikes in Tasmania, we ran into the Cape Hauy Track and they thought it was that one, as they didn’t recall the name, just the stunning views at the end of it. Looking at the details of various hikes, altogether we realized this had to be the one hike they were talking about. And so after our Overland Track hike and cycling adventure, we rented a car and drove south to the Tasman Peninsula and the gorgeous Tasman National Park. 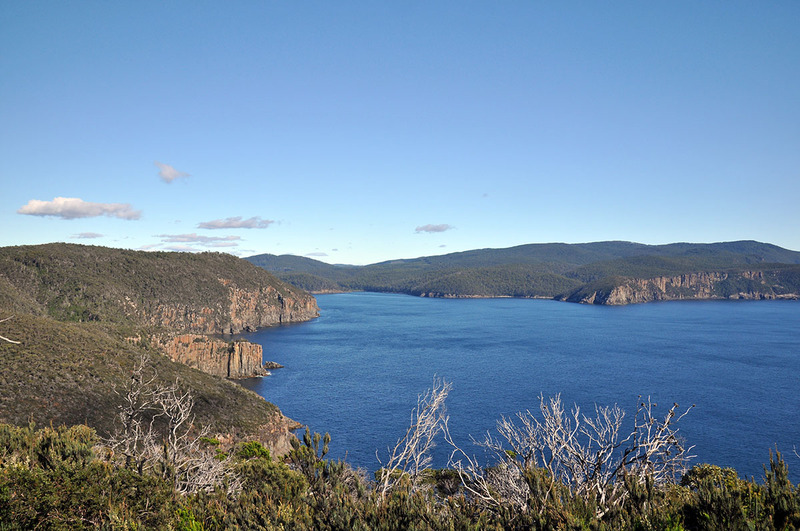 In order to get to the trailhead, you will have to drive to Fortescue Bay, one of the most scenic bays in all of Tasmania, if you ask me. This bay can only be reached by an unpaved road, so make sure to drive carefully, especially since most rental car companies will not allow you to drive on unpaved roads. We actually witnessed an accident from a lady who was on a business trip and decided to take the afternoon off. She hit a rock and totalled the car because of that. Just be careful while driving there! As we wanted to get an early start, we decided to camp at the Fortescue Bay campsite the night before. It tends to get quite busy here so I’d surely recommend making a reservation. We only called the night before and had one of the last tent sites available. It’s a very simple campground but has picknick tables, running water and pit toilets. Plus a lot of wallabies and stunning view over the bay. There’s not much else you need, right? We got a super early start, it was a long weekend during our visit and we wanted to avoid the crowds. The hike is rated as intermediate but in all honesty, we thought it was pretty easy. Just remember there are a lot of steps. Like hundreds. 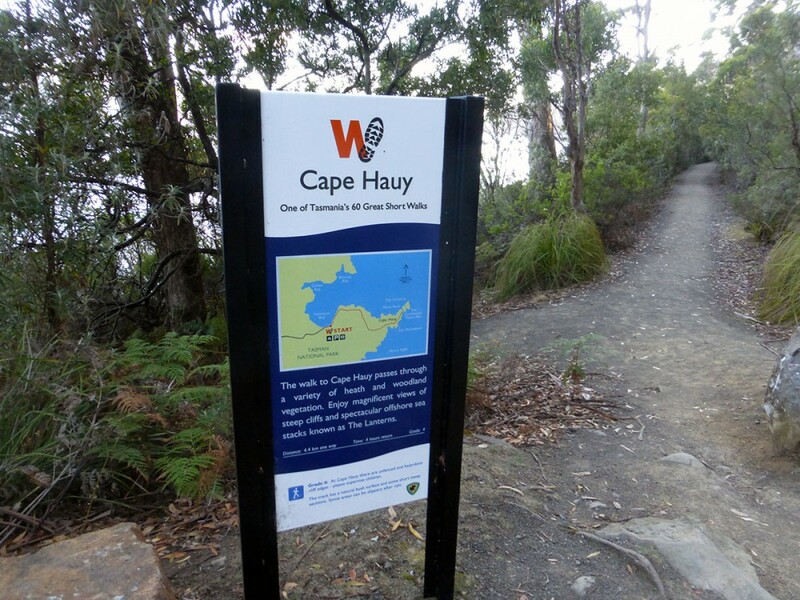 I think the track may have recently be rebuilt because of the opening of the Three Capes Track (added this one to my never ending hiking wishlist) because the Cape Hauy track was well maintained, the steps looked rather new and the signs were good. 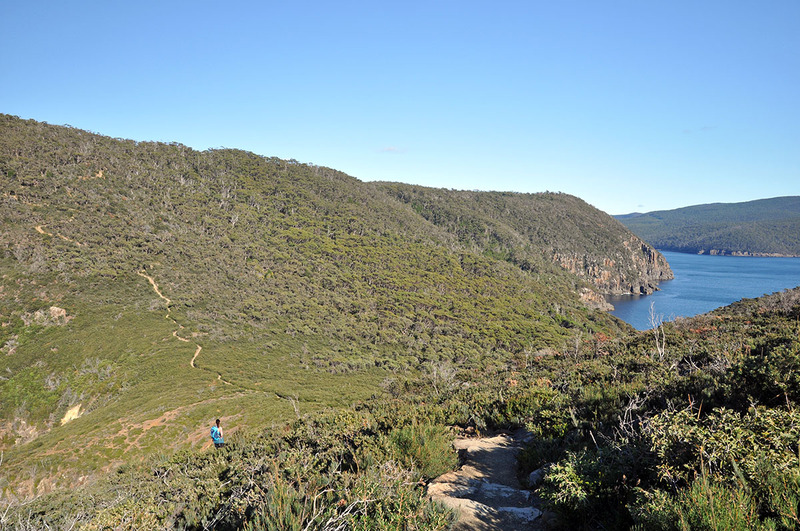 The first part of the hikes took us through the forrest, out of Fortescue Bay and onto the Cape. There were a lot of steps and I recall that at some point I was like ‘okay c’mon, where is the hard part?’ but if you are not an experienced hiker, you may find this hard enough for your taste. After a while, we reached the end of the forest and we could see the Cape ahead of us. Plus … the endless trail leading towards it. And the steps! The trail winded up and down and took us to some pretty neat viewpoints, while we hadn’t even reached the trail end yet. Along the way we saw lots of lizards, our first tiger snakes (yikes) and almost no other people. The sun was shining but it wasn’t too warm yet as we were early, the ocean and sky were equally blue and it was just pure bliss being out there! Eventually we made it to the end of the track within two hours, which was well within the given time. We had taken a few photo stops along the way, but had mostly been hiking in a swift pace. When we got to Cape Hauy, it turned out that a French father and son were there just before us, but they left as soon as they saw us, so we had all the vistas to ourselves. Unfortunately, it was early morning, meaning we had the sun right ahead of us, which made it nearly impossible to make good pictures. 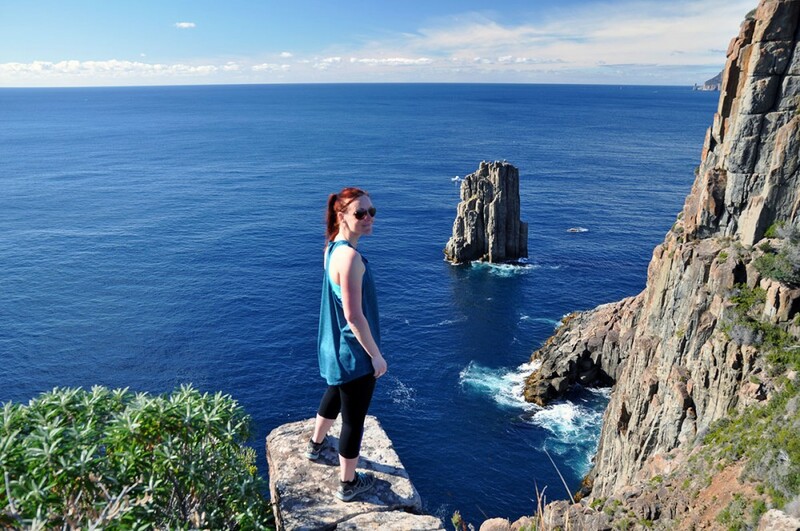 If you want to capture Cape Hauy in its full glory, I’d recommend hiking the Cape Hauy Track in the afternoon when the sun is behind you. It’s a bit of a shame that the cape itself is fenced off, preventing you from taking truly spectacular pictures, but then again, I totally get it because the drop offs are dazzling. The Cape Hauy track was stunning nonetheless. I can totally see how the newly opened Three Capes Track (Cape Hauy is one of the three) can beat the Overland Track as the best multi-day hike in Tasmania. I’ll have to come back one day to see that for myself though. 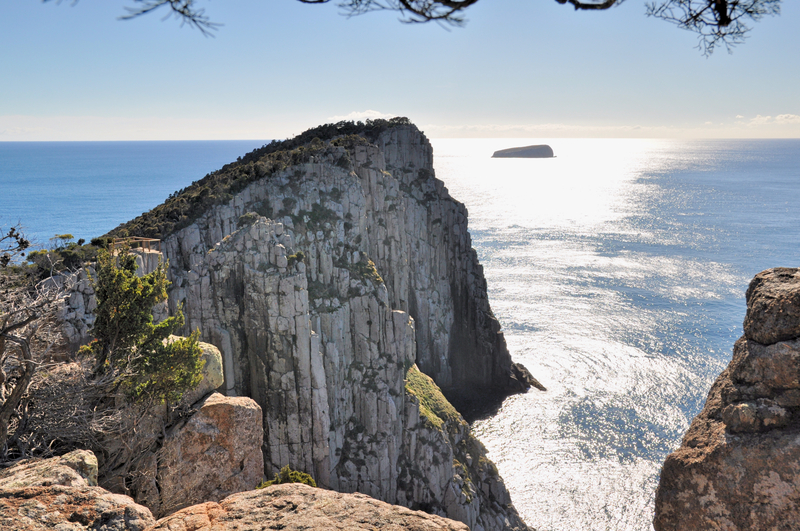 Cape Hauy was just a little taste of what it must be like to hike that trail, however the taste lasted long enough in my mouth to be willing to make the journey to the other end of the world again, someday! 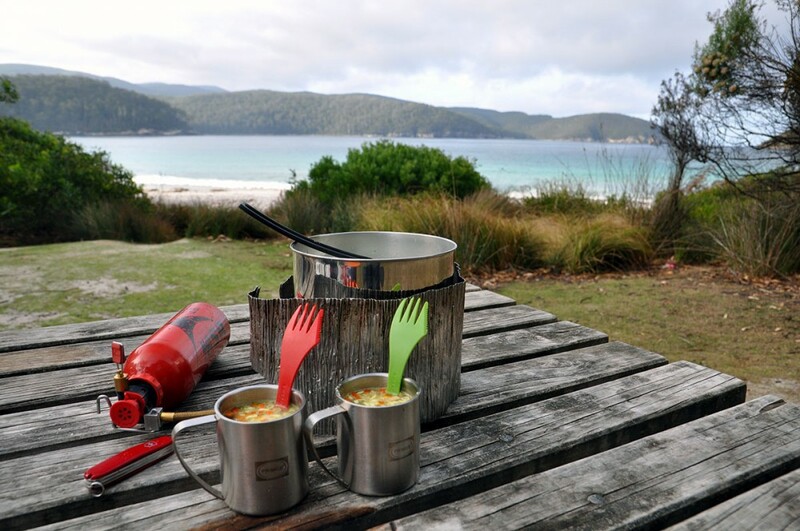 There are no accommodations in Tasman National Park other than the aforementioned Fortescue Bay camp site. If you are not camping, then staying in Port Arthur is your best option to overnight nearby. 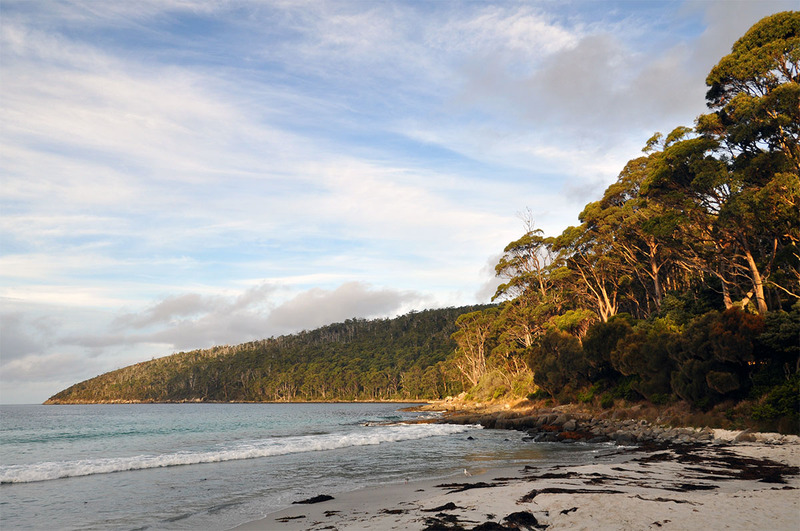 Stewarts Bay Lodge is our recommended accommodation in Port Arthur. All other Port Arthur accommodation can be found here. It’s definitely wise to book well ahead since Tasmania has become incredibly popular over the past years and it can be tricky to find a nice place to sleep, especially in the summer. 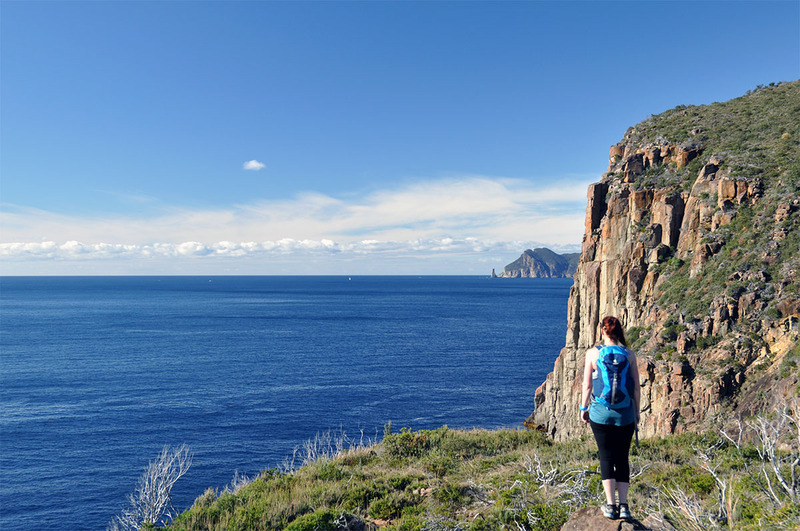 As I said earlier, hiking the Cape Hauy Track was one of the highlights of our visit to Tasmania. We spent one month on Australia’s Apple Island exploring, hiking and biking. Before you go, also make sure to order your copy of Lonely Planet Tasmania, our favorite guidebook for planning our trips all over the world. – A Tasmanian roadtrip: when the nav said no but the map said go! New here and curious who We12travel is? Go here to learn more! For a daily dose of outdoor & adventure inspiration, follow We12travel on Instagram and Facebook! Hey, just read thru this and enjoyed the tale. Reason for writing is to say that your standard ‘footer’ listing IG and FB etc … the IG link has a period (full-stop) quoted which pulls a ‘cannot get to the account response’; you may like to fix it. Hi! Welcome to We12travel (‘we want to travel’)! My name is Antonette. I’m a world traveller, writer and lover of being outdoors. When I’m not traveling, I live in a cabin in the woods in The Netherlands. I spend my time hiking The Veluwe, the largest natural area in our country, which also happens to be my back yard. On We12travel you will find everything you want to know about outdoor travelling, nature and hiking. From the best outdoor clothing to the greatest multi-day treks in the world, and everything in between. 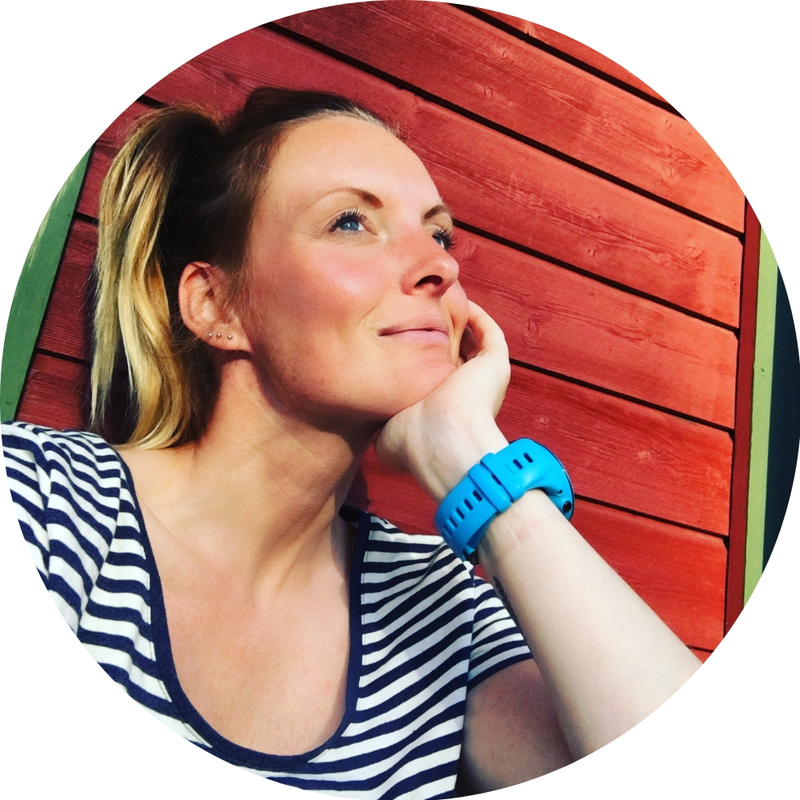 I’ve been inspiring readers from all across the globe since 2011 and am the leading Dutch outdoor and hiking blog ever since.